• The original, award winning, action adventure. 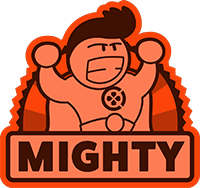 • 4 giant Content Packs, built in at launch, expanding the game with all new quests, terrifying boss fights and striking new abilities. • Forge your own path! 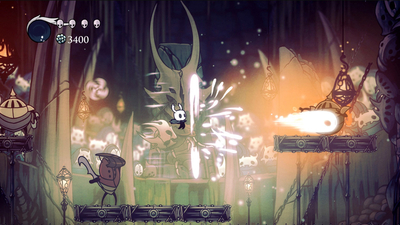 The world of Hallownest is expansive and open. Choose which paths you take, which enemies you face and find your own way forward. • Equip Charms! Ancient relics that offer bizarre new powers and abilities. Choose your favourites and make your journey unique! • Over 150 enemies with 40 epic bosses! Face ferocious beasts and vanquish ancient knights on your quest through the kingdom. • Chart your journey with extensive mapping tools. 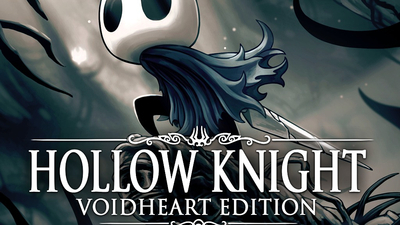 Buy compasses, quills, maps and pins to enhance your understanding of Hollow Knight’s many twisting landscapes. • An epic orchestral score, with over 40 tracks, composed by Christopher Larkin. • Hidden Dreams: Mighty new foes emerge! New Boss fights. New Upgrades. New Music. • The Grimm Troupe: Light the Nightmare Lantern. Summon the Troupe. New Major Quest. New Boss Fights. New Charms. New Enemies. New Friends. • Lifeblood: New mapping tools. New Boss fight. Upgraded Bosses. New Music. Hidden Extras! • Godmaster: Take your place amongst the Gods. New Bosses. New Quest. New Game Mode. 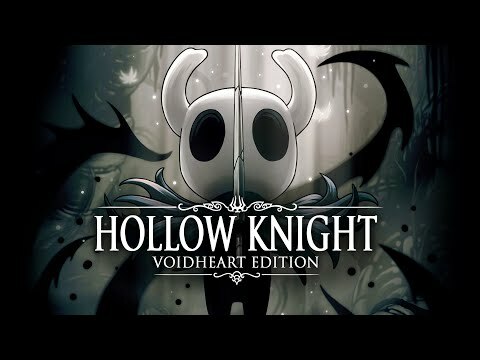 Hollow Knight will stick with me for a while. 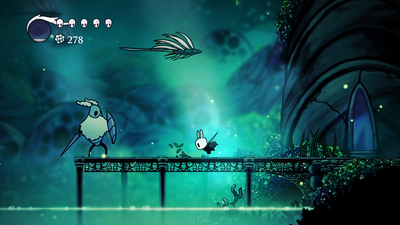 It blends a Metroidvania and Dark Souls in near-perfect fashion. Its tight gameplay as well as its fantastic look and music immersed me into caring about a mysterious civilization of bugs. If "Soulsvainia" is a new sub-genre, then count me in. Also, count me in for the next thing that Team Cherry releases. 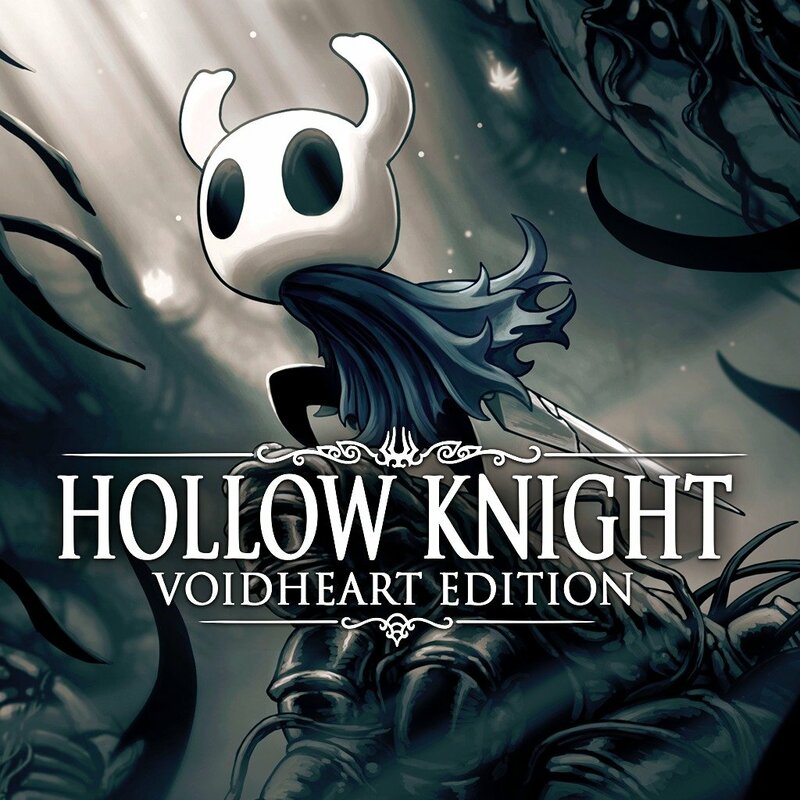 Hollow Knight: Voidheart Edition shines bright, which is ironic considering its solemn presentation and challenging gameplay. Offering a plethora of collectibles and content to explore as well as unrelenting confrontations, the game delivers a sensational, mysterious journey which will undoubtedly test your platforming skills.